The Origin of Others. 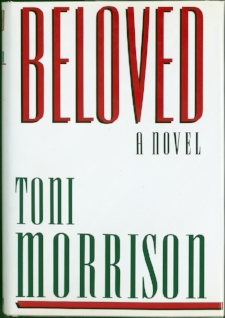 Adapted from Morrison’s instalment of the Charles Eliot Norton lectures at Harvard University, the text, which explores how otherness, particularly racial difference, is socially constructed and provides unique insights into american literary history, has the clarity and intimacy of the spoken word. But instead she’s trying her hand at a somewhat new exercise with her latest book, The Origin of Others. Adapted from Morrison’s instalment of the Charles Eliot Norton lectures at Harvard University, the text has the clarity and intimacy of the spoken word. 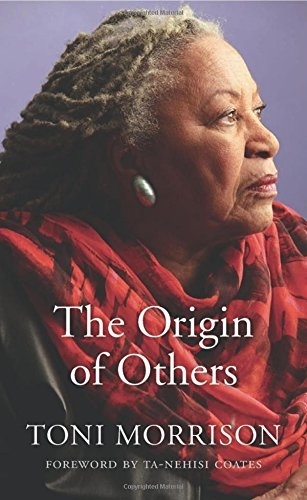 In a series of essays that provides equally unique insights into American literary history and Morrison’s own mind, The Origin of Others explores how otherness, particularly racial difference, is socially constructed, and the ways Morrison has always worked to explore and confound that construct through her writing. And in a way, the anti-Semite did invent the Jew (an imagined, grotesque image of the Jew, that is) through political discourse, propaganda, and literature, and so did white slaveowners and colonizers invent their vision of black people, investing them with the very traits they feared they themselves possessed: inhumanity, brutality, barbarity. 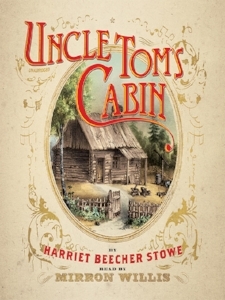 Harriet Beecher Stowe’s Uncle Tom’s Cabin — a bestseller among white audiences in which “slavery is sexually and romantically sanitized and perfumed," writes Morrison. It is the role of literature in the construction of this black Other that Morrison is especially concerned with. Among her diverse examples are “classics” like Harriet Beecher Stowe’s Uncle Tom’s Cabin — a bestseller among white audiences in which “slavery is sexually and romantically sanitized and perfumed,” obscuring the pervasive, brutal violence (including sexual violence) whites inflicted on the people they owned. Morrison also notes that plot points such as “the relationship of little Eva and Topsy — in which Topsy, an unruly, simple-minded black child, is redeemed, civilized by a loving white child” serve to romanticize slavery and reinforce the idea of black people’s unfitness for freedom. "It’s no coincidence Morrison places empathy at the center of writing: writing is “an opportunity to be an become the Other." In several works, she uses devices that deliberately confuse our socially conditioned reflexes of othering. Recitatif is a dialogue between two women, one white, one black, but we’re never told which speaker is which. And in Paradise, she depicts an inverted version of “sundown towns” open only to white people — defined as people who ostensibly had not one drop of African-descended blood; the town of Ruby is a freedmen’s colony where only the most dark-skinned black people may live, and anyone with any visible sign of white ancestry is considered “impure” and forbidden entry. beloved. “Compelling as the real Margaret Garner’s story is, the novel's center and spread are the murdered child. Imagining her was for me the soul of art and its bones,” explains Morrison in the origins of others. The Origin of Others (Harvard University Press) is on sale now.